This part of the South of Scotland provides something for everyone. Lochhouse Farm, as far as we can find out became a working farm in 1859 when the ‘Old Brig Inn’ became a Farmhouse following the mail coaches being taken over by the railway. The farmland extended well beyond the A74 and over the years has been gradually sold off, ending with the compulsory purchase of land for the new Motorway leaving the farm with its present 9 acres. The Farmhouse was originally the dairy house but has taken the name farmhouse since ‘The Old Brig Inn’ was sold and opened as an Old People’s Home in 1975. Since l975 the attached steadings have been in disrepair but are now being converted into dwellings and the ‘old brig inn’ returned to being an Inn although the name has now changed to TELFORD HOUSE to reflect its history. The village of Beattock was built in the nineteenth century when the railway was being built. The village church, Kirkpatrick-Juxta, Church of Scotland however, can be traced back to 1174 when it was mentioned at a convention between Robert-de-Bruce and ‘Engelram’ bishop of Glasgow. The current building was built in 1798. Moffat has a fascinating history dating back to 1218 when Robert the Bruce granted land, which is now known as Rogermoor. Moffat well was discovered in 1663 and so it became famous as a spa town, which attracted many visitors. Some of the hotels, which were established to house the visitors during the 17th and 18th century are still offering food and hospitality today. Dumfries and Galloway has been home to many famous names including Telford who was born in Eskdale and fine examples of his work can be found in the neighbourhood of Lochhouse Farm indeed right next door the old brig inn was built by Telford. Robert Burns lived in and around Dumfries and the family seat of Robert the Bruce being at Lochmaben, and the site of the cave in which he hid not far away. The huge number of castles or ruins of castles in Dumfries and Galloway stand as reminders of the violent history of the area with many Scotland v England battle sites. Moffat – Tourist Shopping, Park and children’s water feature, numerous Restaurants, Woollen Mill, Green Frog (Hammerlands) outdoor centre and Museum plus an interesting events diary. Gardens, houses, parks, and nursery’s open to the public abound in the region. The Southern Upland Way runs from Port Patrick (Stranraer) in west to Cockburnspath in the east. The half way point being Beattock, the way skirts the boundary of Lochhouse Farm and we welcome walkers to stay at the farm. The Grey Mares Tail offers a challenging walk with spectacular views but it is advised Wamphray Glen – accommodation moffat that you have experience in walking or that you have a guide. The Forestry Commission in Scotland provide many woodland walks which are marked and some have picnic areas. Moffat has is own golf course and visitors are welcome. There are many more in the area for the enthusiast. The Dyke Farm Nature Reserve is close by covering 8 acres with ponds, walkways, & hides. Run by the Moffat & District Wildlife Club it is open all year round and is less than a mile away. 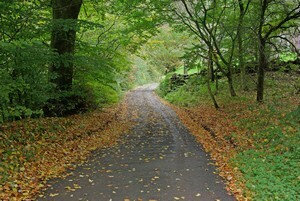 There is a cycle network running through the area and the Mabie Forest offers a safe off road track for all the family. Cycle hire is available in various town centres. Glasgow is just over 1 hour’s drive away and offers shops theatres, cinemas. Its Science Centre is recommended for all ages. There is a scenic route from Moffat to Edinburgh Via A701 the journey takes an hour and a half. Galloway Forest Parks – walking, mountain biking, nature walks, country trails, sculptures etc. There are many coastal areas of Dumfires and Galloway for water sports and others sea-side activities. There are also nature reserves on the coastal edge especially at the Solway Firth.